Leisure Farms Berry GrowerRecord Owner? Log in. In Sturgeon Falls, take Nipissing St. south. Turn west on Quesnel Road. and go 2 km. Follow signs. Book your school tour for September and october. 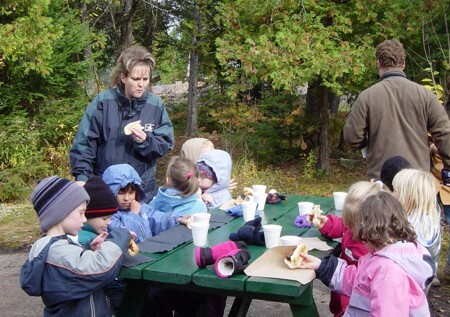 Picnic area, playground and group tours. Parking space in the shade. Fresh vegetables cucumbers, beans, potatoes.
. Great for family outing..
Have something to say about Leisure Farms Berry Grower? After a couple years of my mom describing the pumpkin patch we finally made it out. What a Farm!! to my surprise, we got to ride on a wagon pulled by a tractor out to the patches, we picked four baskets of strawberries and 2 baskets of raspberries. My children and I had such a great day picking and spending time together. Now it wasn't just a day filled with picking berries, but they also have a fresh bakery with cinnamon buns, cookies and yummy things. My kids even got a free Mr. Freezie. Where can you go anymore where you get anything for free? 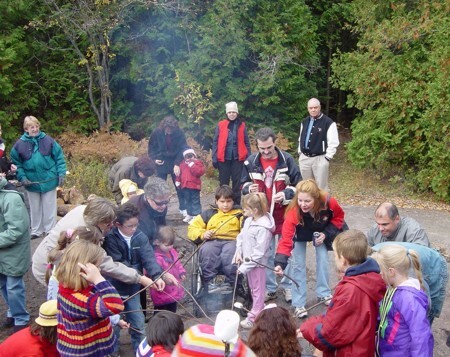 They also have a large park for the kids to burn that extra bit of enery, a very clean washroom facility and wonderful friendly staff!! now with all that in mind, it wasn't even expensive i can't remember exactly how much per pound but it was definatly cheaper than we are used to. What a great day. We will be returning in October for the Pumpkin Patch. Even if it is a four hour drive. Thanks mom, you were right. Wow the Leisure Farm was a fun filled family day. My two year old had so much fun and we intend to go back next year. I am spreading the word at work for those who never went. I am telling them that it is fantastic for kids of all ages. 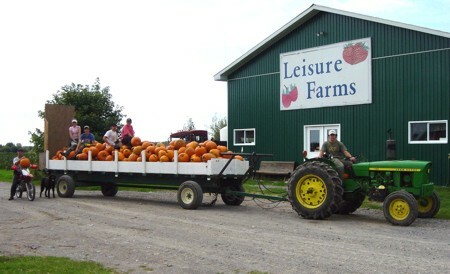 My children have been going to Leisure Farms with their school for years! They always enjoy the field trip and come home with wonderful memories. The prices are very reasonable (especially for a family of 6! )There are things that interest all of our kids from the ages of 3 to 12! Our family tradition is to visit Leisure Frams every year! It's weel worth the drive! When i first heard about this place, i thought to myself i know the perfect little person that would love this place,and her name is hannah she is my 3 year old neice,and i was right,from the second we got out of the car,she began to clap,she saw the pumkins,and had the biggest smile on her face,from,selecting her own pumpkin to painting them,to the hay ride,hot chocolate and roasting the marshmellows and hotdogs,this truly was a wonderful day for all of us,this will definitly be a yearly tradition,im so happy i found out about this place,here we are in september and hannah is already asking about going to the pumkin patch,thank you to all the staff for making this a great experience for my neice and my family...we will be back this year and every year...sincerly debrah from sudbury,ontario.